What others say about chiropractic care can help you make the right health care choice. Review a selection of Fountain of Life Family Chiropractic patient testimonials below and please email us or contact the office if you have any questions. Dr. Amanda is THE BEST! I am an endurance athlete and training takes a toll on my body (plus I’m not getting any younger!). We just moved to the area and, between moving and training, I could hardly stand straight or move my neck due to lower back and pain at the base of my neck. I was running the Disney Marathon with my family in January and I didn’t want to disappoint them by backing out of the race. Two visits with Dr. Amanda and I was good to go for the race. I stayed on a plan with her through the winter and spring while I was training for Ironman Texas. Not only did I feel great during the race, I did my best time by 27 minutes and my first ever sub-12 hour Ironman! I owe it all to Dr. Amanda. She understands athletes and knows how to get everything aligned for optimal, pain free performance. I will continue on her program because I’ve never felt better. Thanks Dr. Amanda!! It is always a very pleasant experience going to Fountain of Life – the staff is awesome and the equipment and doctors are phenomal. You have to try the hydro-bed! There are a lot of Chiropractors out there, but Dr. Amanda and Fountain of Life is the right choice! Thank you so much for seeing me on such short notice. I came into the office with urgent need of treatment and was honestly a little nervous and scared of what was happening with my body and my level of pain. Your entire staff immediately made me feel at ease and I cannot speak highly enough of the care and treatment I received. I have already and will continue to refer your practice to friends in the Northland. Thank you all for your wonderful service! I’ve never gone to a chiropractor before. I woke up one morning with a small kink in my neck and by the end of the morning I was in excruciating pain with muscle spasms in my neck and willing to try anything. A trip to the ER or any available doctors would have sounded fine, but my wife called Fountain of Life. They were able to see me the same day right after work, with follow up treatment the next day. Wow! I was impressed not only by the amazing improvement, but the adjustments and compassion the staff used to accommodate me (my neck was so sore I couldn’t bear to have it touched. By the third day with help from a little ice pack) I was completely pain free. Thank you, Doctor R! My chiropractor, Allison, is absolutely amazing. She is knowledgeable and passionate in her work, and has helped both my husband and myself feel wonderful. I am pregnant and couldn’t recommend her skills highly enough for any of the other pregnant ladies out there, it truly is a Godsend. The best back doctor I’ve been to yet! I injured my back in 2013 and suffered a great deal of pain, discomfort, and the thought of possibly being disabled. After being cleared by my Neurosurgeon, I chose for the first time in 39 years to try a Chiropractor despite all of the rumors and scary stories I had heard over the years. To say the least, rumors were just that and everything I had heard was no where near the truth. I honestly had missed out on a good thing that I could have benefited from for many years and probably wouldn’t have had the extended recovery time from my recent back injury had I been in some routine Chiropractic care all along. I will most likely continue Chiropractic care with Fountain of Life indefinitely. I recommend Fountain of Life Doctors, along with their Massage Therapists, to anyone with back, hip, or any other pain and discomfort. Their knowledge and expertise is remarkable and to say the least, their hands are magical! Thank you and your staff for keeping me on my feet. No one in the medical field would help me, without numerous MRI’s that the insurance company denied. Thanks to The Fountain of Life staff, I made it to the new year 2014 pain free. We will have a long lasting patient and that is me. Taking my hubby also with 4 kids of arthritis and fibromyalgia, making him a better quality of life daily. Thanks again so much from Joe and I. See you soon. I have had much improvement. I have spent many (okay, several) years, thinking that going to the chiropractor was not necessary, and yes, not effective – but, my husband came here to Fountain of Life…I saw great improvement in him, even though he had been going to other chiropractor’s for several years – I couldn’t see he was helped much there, but here, he is much better. So, I came. I am so glad I did – you are patient and kind and skillful! Thanks. I feel much- much better and hope to get even better. I believe I can. I am so happy to have found relief from my pain in the past few weeks after several years of doctors, tests, etc, to be diagnosed with Fibromyalgia. Since there is no “cure” or really even treatment I lived on pain meds. Doctor after doctor diagnosed me with Fibromyalgia with no hope for a cure. Now, I feel like myself again – not a “handicapped person”. Thank you. Thank you! I started with back pain. It was very hart to stay active with the pain I was having. This chiropractic experience has been a huge success. I was very nervous about going, but in the long run it has made my life so much better! Even after the first adjustment, I felt relief! I have been to several chiropractors and have never received as good of care as I have here. 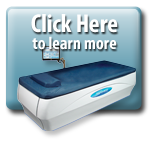 The amenities that they offer are great and have helped me as much as the treatments. I used to get a moderate headache about 2 – 3 times a week, have a lot of sleepless nights, severe lower back pain and my extremities would go numb. After about a month of treatment I do not have headaches as strong or as frequent, no more numbness, my lower back pain has diminished. I started with lower back and neck pain. Never went to a chiropractor, so was a little weary of treatment success. That changed after my first visit. The confidence, care and treatment of the entire staff have and will continue to be great. After my first eight visits I feel no pain and looking forward to keeping it that way! I was skeptical about chiropractic medicine. Since I could come and not pay anything because of my insurance. It has made me feel better overall. I am not getting my severe migraines and my allergies haven’t been giving me a lot of problems like they usually do. I am glad I came here. Everyone is wonderful here and they do a great job. I know a life with chiropractic help makes a difference, but I didn’t know how much until I started visiting with Dr. Fran. Her touch is light but firm and she knows just where I hurt. Thank you Dr. Fran and Fountain of Life. You all have made a positive impact in my life…and, now I get to have an active one. I hope to be here for a long time! I have traveled all over this country and [have] seen chiropractors throughout the past 20 years (I am only 35! )… Six weeks ago I felt 70! Headaches, shoulder pain, and lower back pain that kept me from living an active, comfortable life… Today I feel great – Each person in this office brings their special own dish to the table. Chiropractic care for life – Tell your loved ones about Fountain of Life!